Shorinji Kempo is a Modern Japanese Martial Art (Gendai Budo) with strong Chinese roots. The Dojo aims to develop students in three main areas: A healthy Mind, a healthy Body and effective Self-defense. Shorinji Kempo equates to a potent mix of Karate, Boxing, Kung-fu, Judo, Ju-jitsu and Aikido. You don't need any special equipment to start, just ware lose clothing or any comfortable sportsware. There is a great social side to the Dojo and the first class is completly free. All Welcome. 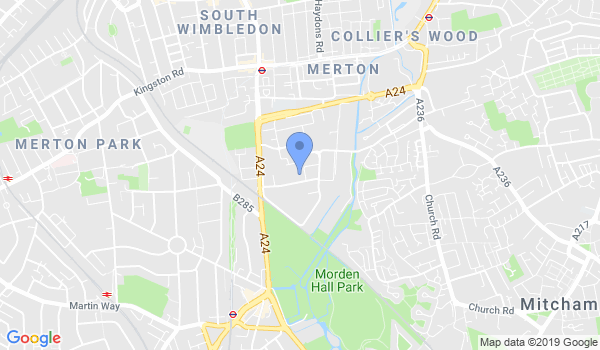 Would you like more information on hours, classes and programs available at South Wimbledon Shorinji Kempo Dojo? Please contact the school with your questions. Update the details, Write a Review or Report Error of South Wimbledon Shorinji Kempo Dojo.